The coaches of CrossFit Critical Mass are excited to announce that for January 2016, we have two CFCM Athletes of The Month (AOM)! A CFCM first, but well deserved. We would like to recognize Gabrielle and Marc Applegate, not only as the outstanding athletes they are, but also as an amazing couple of the gym. “Team Applegate” are dedicated athletes committed to getting better and going all out during each workout. They have been part of CFCM for just a little under 3 years. 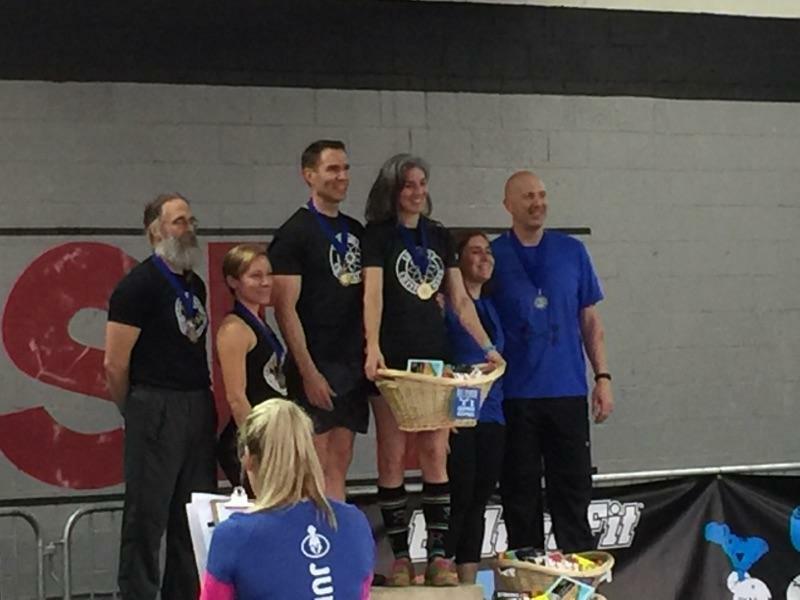 They both recently competed in the Gemini Games Competition, Masters Scaled Division, and dominated by coming in First place! Gabrielle and Marc both hit squat clean personal records on the 1st WOD (ladder) and never looked back. Most people would say the achievement of coming in 1st place was their highest accomplishment of the month, but we would like to point out the humble nature they exhibit and the way they achieved this milestone. They worked hard throughout every WOD, and you could see their determination and willpower were never-ending. Their way of motivating each other through each workout was an inspiration to their coaches. We were excited to see their warm personality shared with others as they pushed each other through the toughest moments. This was evident throughout the competition and something we see daily inside the walls of CFCM. Their warm smiles not only pour through the gym whenever they attend, but their commitment to perform at a high level is infectious. These two athletes are inspiring and hardworking in and out of the gym. Please join us in congratulating Gabrielle and Marc as the CFCM January 2016 Athletes of the Month. CFCM is honored to have such great people represent us.